Maker's Movement believes in community and collaboration. The very foundation of our work with Maker's Movement rests on collaboration, and that is what continues to keep the passion and motivation flowing day after day. We actively seek out opportunities to collaborate with artists and makers from the community, and enjoy partnering with like-minded creative platforms, craft organizations and small businesses. Maker's Movement partners with intention, and we promise to honour our values of handmade and supporting small above all, ensuring our partnerships align with the roots and soul of our community. Why partnerships? We believe in community over competition. Our partnerships are always built on shared values and mutual respect. Simply put, we support and appreciate the work our partners are doing within the handmade community, and we've decided that supporting and encouraging one another is the way to go! Founded in January 2015 by Grace Gulley, Craft Your Life Collective began as a small online space and has since flourished into a large, vibrant community of women. CYL continues to support the work of female artists and artisans around the world, and its CYL Squad membership program offers a more immersive experience with plenty of personal and business development opportunities. Since the founding of Maker’s Movement and CYL Collective (within mere weeks of each other), we have continued to find new ways to partner up on projects and events to bridge our communities. Over the past couple years, we’ve co-hosted loop giveaways, facilitated a giant international Secret Santa craft swap, and our latest partnership is The Handmade Pop-Up, an online market that runs twice a year for spring and the holidays. Collaborating with Grace and the CYL Community has come so organically, and we’re excited to continue supporting one another in different capacities. Makeology is an online community and local craft market aimed to bring like-minded creatives together. 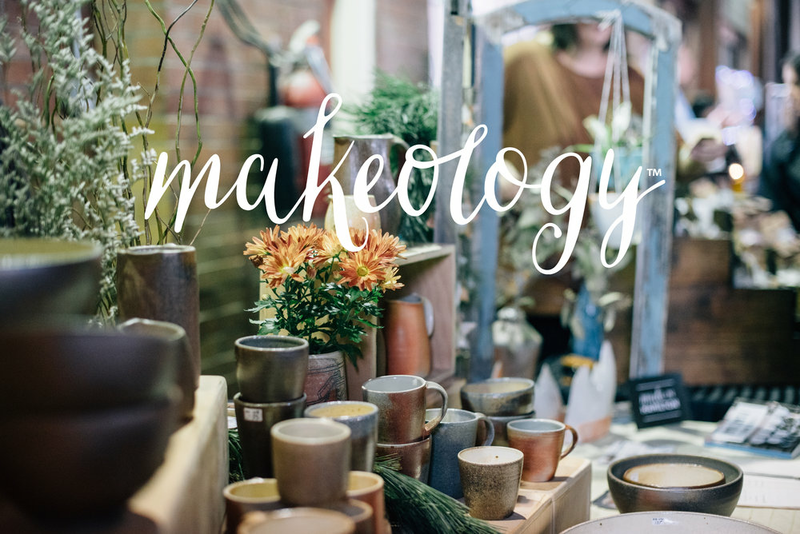 Founded in 2013 by Melissa Lowry, Makeology started as an online group aiming to bring together makers, and has since grown into a community rich with amazingly talented artists who continue to support one another. Maker's Movement is a proud supporter of Makeology and the inspiring work they're doing to bring local makers and handmade supporters together, online and off. Melissa pours so much energy into Makeology, and we're proud to back her markets and projects, and look forward to finding ways to collaborate and bridge our communities to offer greater support to you — the makers! Interested in partnering with Maker's Movement?